The other night a saxophone solo from one of my playlists broke through the din of noise and routine of driving on a darkened road. I know I have listened to this song dozens of times before, but I had never really heard this solo. It was hauntingly beautiful. It was perfect. Do I have to say his name? 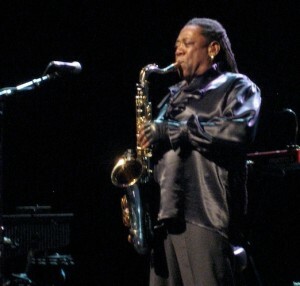 “The Big Man,” Clarence Clemons was an amazing sax player. Image by Jamison Foser derivative work: Arbor to SJ [CC BY 2.0 (http://creativecommons.org/licenses/by/2.0)], via Wikimedia Commons. Those who know me well, will not be surprised that I was not listening to a symphony or jazz quartet. 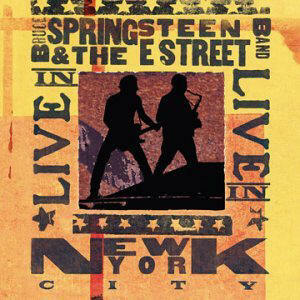 I was instead playing the album Bruce Springsteen & the E Street Band: Live in New York City through my car speakers (I love my shiny new subscription to Spotify). The song? “If I Should Fall Behind“—one of the greatest love songs ever written. As the beauty washed over me, I remembered that the great Clarence Clemons has since passed away. While it will live forever in audio and video form, that moment is gone forever. But then again, aren’t they all. With photographs, videos, and stories we try to capture beauty, but those things are at best representations of it. You really have to be there to fully experience the beautiful things in life. Which brings me to all those times I’d listened to “If I Should Fall Behind” and missed the beauty of The Big Man’s sax work. Distracted, multitasking, and paying half attention, I missed it. I missed the moment. I missed the beauty. I sometimes fall victim to what I have heard called the tyranny of the urgent, which sounds noble enough. I fear thought that what I thought was urgent wasn’t actually. Maybe it would be more truthful to call it the tyranny of the distraction. As a person of faith, I believe moments of beauty are gifts from God pointing us to God’s self. They are, to borrow a profound phrase from NT Wright, echoes of a voice, the reverberations of the presence of God in our midst (Simply Christian). And sometimes, I trade the voice of God for a mere imitation of it. I miss the beauty of a moment with my child, my spouse, my friend, because I’m instead focused on a worry, a screen, or something I deem “important.” Distracted, multitasking, or paying half attention, I miss the presence of God because I’m not present in the moment. Beauty is fleeting, like the notes of a sax solo floating up into the air, or the musician who created them. I must be on the lookout for the beauty in my life or I might miss a moment that cannot be recreated.